A structural element which is designed and used to bear high load of structure and other external load is called beam. There are many different types of beam like cantilever beam, simple supported beam and overhanging beam. When an external load or the structural load applied in beam is large enough to displace the beam from its present place, then that deflection of beam from its resent axis is called bending of beam. This experiment is about studying the effect of force magnitude on bending of beam and for that structure hardware called ‘STR2 bending moment in a beam is used. According to the figure of STR2 bending moment in beam structure, beam is supported at two points using pivots. A mechanism is provided which can apply and calculate the force throughout the beam. Free body diagram of the apparatus is shown below. In this experiment load of different magnitude will applied on beam at the same place and bending moment will be calculated using the following formula. a is the distance between the pivot point and point of force application. Diagram of the force applied and the graph of the resultant force will appear of screen which conform the load replacement. Software will automatically gather all the data of experiment and save it in memory. 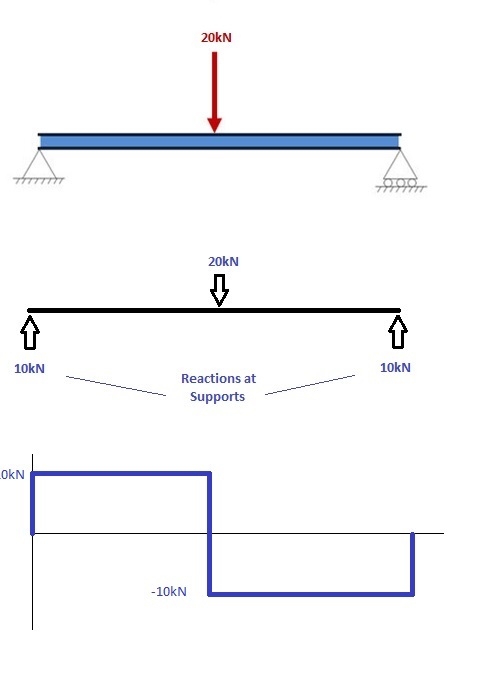 Values of the bending stresses obtain from the experiment are presented in the table above and they are arranged in the respective cell according to the load that produce that bending moment. 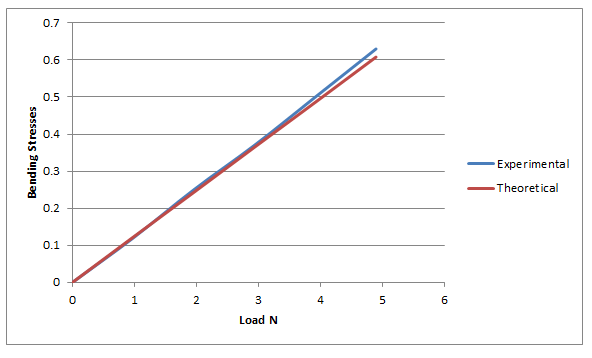 All the data is presented in the graphs and according to that graph the theoretical bending moment is showing linear relation with the load means the value of the theoretical bending moment increase with the increase in the value of applied load and decrease with the decrease in the value of applied load. The ratio with which there is an increase and decrease in the value of theoretical bending moment is equal to the ratio with which there is an increase and decrease in the value of applied load. 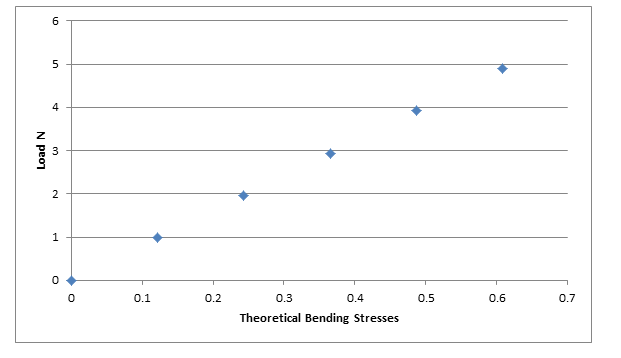 Second graph is between bending stresses and the load but the main purpose of this graph is to compare the theoretical and experimental bending moment. According there is very little different between both value which show the correctness of apparatus and skills of the worker. Little different between the values is due to human error which cannot be minimize due to the human capabilities limitation. Aim of this task was to study the effect of different forces on the bending moment in the beam and the result show that there is a linear relationship between bending moment and applied load. Experimental and theoretical bending moment shows perfect linear relationship with applied load with very little difference in the values of bending moment.